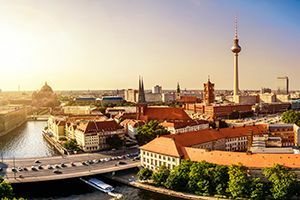 The colourful capital of the Federal Republic of Germany with approximately 3.4 millions residents and 12 millions tourists is known for its variegated living conditions. The special thing about hotels in Berlin is that nearly every hotel has its own hotel bar. 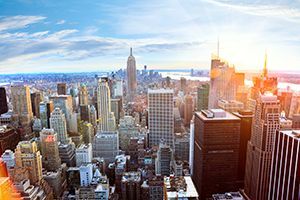 With more than 8 millions residents, New York city is the metropolis with the most inhabitants in the USA. The night life of New York is really fast and changes constantly. What is “in” today, can be already totally “out” tomorrow. 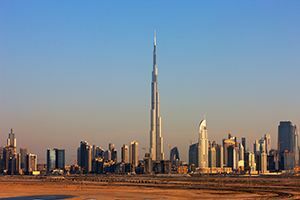 Dubai is the heart of the United Arab Emirates and one of the most rapidly developing cities of the world. As it is usual in the Emirates, the bar and club scene happens nearly completely in the nameable hotels. 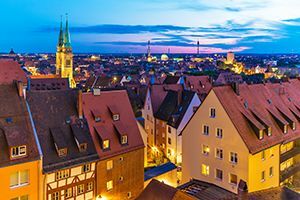 Nuremberg is a city that is steeped in history and which succeeded to cope with its burdensome past. Either people visit one of the hip pubs in the historic district or they let the day end in a comfortable and elegant way in one of the hotel bars. 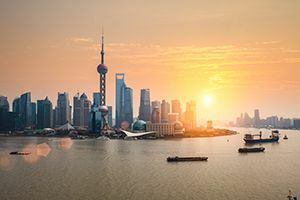 Through the most important seaport and the booming commerce, the city ranks as the biggest and most rich city in the Far East. From shopping to numerous sights and the wild night life, the metropolis offers something for all persons. Rio de Janeiro is a city of contrasts and is considered to be the most beautiful metropolis of Brazil. 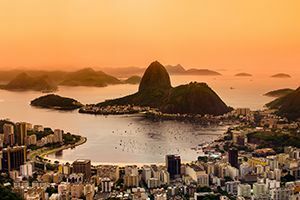 From midnight onwards the Brazilian folk and tourists party in the night clubs or on the streets of the city while dancing to samba music and other hot rhythms. 50% discount for the start in 2016!